I started back in 2009 when my previous employer started a large datacentre consolidation project. I quickly did my VCP to ensure I was the main resource on the project. I really wanted to further my knowledge after doing the VCAPs. What I liked about the VCDX program is it makes you stronger in so many different technology areas. About 13 months once I had passed the VCAP’s. Try and enjoy the whole experience, especially the defence. When you stand in front of that panel it is an amazing feeling thinking about where you were when you started the journey and where you are now. We always find excuses not to do things, for instance, my current employer has strict polices preventing us from emailing stuff out of the bank which meant I had to recreate all of the design documentation at home as well as fund the entire process myself, but this was important so I did not let any of that get in the way. For someone not from a consulting background I should’ve practiced the design scenarios a little earlier on in the process. This has been one of the best experiences in my career and I am really grateful to the VCDX program and community. After a short break I am very much looking forward to completing the VCDX-NV track and helping others achieve their numbers. Categories: Certifications, VCAP, VCDX, Virtualisation, VMware | Tags: Certifications, VCDX, VCDX5, Virtualisation, VMware | Permalink. Did you use all those resources!!?? Honestly yes and no, yes I used each of them during my preparations but I didn’t read and watch every single one from start to finish due to time constraints and also deciding at a point that focused preparations was a better method. Now this focused method was still fairly wide and I even used resources that were not even on the list, one of the biggest was the soon to be released “The Art of IT Infrastructure Design” by John Arrasjid @vcdx001 Mark Gabryjelski @MarkGabbs & Chris McCain @hcmccain. Which of those resources helped you the most?? Hard to say as each of them filled gaps in my knowledge. What I will say though is that for some of them they went into details I knew I would never remember but for ones like the 5 different HA states I made sure I learn them by adding them to my quizlet to test myself so they would be burnt in my memory ( Running,Partitioned,Isolated,Failed and FDM Agent Down in case you were wondering). I knew I had gaps in my knowledge and after speaking to colleagues and peers and asking them about their area of expertise I would then be able to see how far I had to go to learn. A few of these came from mock sessions where people would ask me about for example “How would your design have changed if the customer asked for FCoE?” or ” What mechanisms did you use to span the VLANs between the two sites?” , these showed me I needed to learn about not just the storage mechanism in my design but how it would have looked if they asked for something else and that I needed to T Skill on networking and truly understand why certain things were done. I would watch Pluralsight videos at 1.5x speed. I’ve been doing this for ages not just for CBT videos but also podcasts and you get used to it really quickly. Pluralsight lets you download a certain amount of videos to view offline on your tablet or even phone. I would watch the videos whilst at the gym on the bike, on the plane back and forth from my current project in Rotterdam as well as the train and metro back and forth to Rotterdam. As mentioned above I would watch CBT videos, read books, read blogs and listen to podcasts whilst commuting back and forth each week. I also would read and watch them in the hotel most evenings before going out for dinner or even get room service and just spend the evening doing that. I’m still trying to perfect this but after reading so much I seem to be getting closer and closer to being able to speed read whilst still retaining what I read. If I went to school now they would possibly diagnose me as ADHD so it certainly took me a fair amount of time to focus my mind and block out external noise (my wife isn’t too keen on this new skill 🙂 ) For this to work I’ve found a certain font and size via my kindle works best and I would ask myself after each page if I could explain what I had just read to someone and if I couldn’t I would reread it until I felt I could. What about new versions for example vSphere 6.0? True none of the resources I listed were even 5.5 per se nevermind vSphere 6. My design was a 5.0 design so I needed to ensure I remembered what was possible then but I did relatively keep up to date on the latest versions and what was possible. As rob Nolen mentioned in a vBrownbag we did around the VCDX, a good architect should know about the latest versions and what decisions you may have made in your 5.0 design that you would have changed now knowing where the newer versions have gone to ensure ease of upgrading (I paraphrase here). It was hard to try not get mixed up between new features and what was possible in 5.0 so one bit of advice I would give is try submit a design for VCDX as soon after designing it as possible or upgrade your design to the latest version of vSphere 5 or even vSphere 6. For the resources like most of the things for the VCDX it’s all about making time for it and realistically looking at how you spend your time and how you can use it more efficiently. I was catching the 6:50 flight to Amsterdam every Monday morning after waking up at 3:30 am to make it to the airport and through Heathrow in time to board and 99% of the time I looked around the cabin everyone but me had their eyes closed and was trying to get another hour of sleep. It’s not easy at time but you have to ask yourself how badly do you want it. Categories: Certifications, VCDX, Virtualisation, VMware | Tags: VCDX, VCDX5, VMware | Permalink. So this posting isn’t about my opinion of if the dropping of the scenario is good or bad as in all honesty more time in the design scenario sounds great to me. This posting is actually about the resources I used to prepare for my VCDX troubleshooting scenario that I think an architect should know and thereby any good VCDX should also. The first resources I used were actually the ones I used in my preparations for the VCAP5-DCA as this really makes you learn where all the logs are, what methods there are of troubleshooting issues and what you might be looking for. My study resources list for the VCAP5-DCA is a great start and if you are at the point of defending for VCDX you should have used some of these in your preparations but what I went over again were the troubleshooting videos by David Davis. Even though they are old the methods in them still apply especially ESXTOP etc. The next resources were a mix between my two mentors for my recent VCDX attempt aka Larus Hjartarson and Rene van den Bedem. Both of them did brilliant breakdowns of how to prepare and think during the scenario and the methodology you need to keep to. These methods give you a great plan of attack even if it is a real world customer you are trying to help. Larus’ methodology is mention in his VCDX: Troubleshooting Scenario posting and Rene’s VCDX – Troubleshooting Scenario Strategy posting. When did the problem start exactly? Have we collected logs or alerts from the systems and are we using something like vCOps where we can drill down and see alarms or alerts? ? – Why I am asking is because these mechanisms can give us ideas of the failures and possibly where it is happening if not just one location and what I’m hoping to achieve is to find the specific places the errors are showing, what the errors have been in the past if possible but also prepare for the next step of making it fail again so we can possibly see the error again or collect it for the first time. If it happens around a certain event can we try replicate the error and make it happen as often as possible? – Why I am asking is because I want to confirm the error is in fact happening at the point you mention and I’m hoping to achieve the exact step where it is happening and confirm if indeed our assumptions of when it is happening are true or not so we don’t waste time troubleshooting an assumption. When are we doing the replication of the error can we document each step? – Why I am asking is because I want to confirm it is not just the step where it fails but the steps leading up to it in case a step in the sequence is then causing the eventual failure and I’m hoping to achieve the possible conflict or incorrect setting/step being followed. Are there any alarms or alerts on the source or destination system/s ? – Why I am asking is because I want to confirm not just the outcome of the failure that you mention but hopefully what is causing the failure and what I’m hoping to achieve is the point/component where we should do the troubleshooting so that we don’t make any unnecessary changes. For the machines that are failing are they the same configuration/going to the same location/coming from the same location/going over the same path? – Why I am asking is because I want to isolate the good parts/side and the bad parts/side and what I’m hoping to achieve is to focus my attention on the side that is showing the error so we don’t waste time and have less things to cover in the hope we can isolate the problem. Try a migration/alteration/fix and if it doesn’t work then change it back and try something new. “Please can we migrate the failing machines to another host? 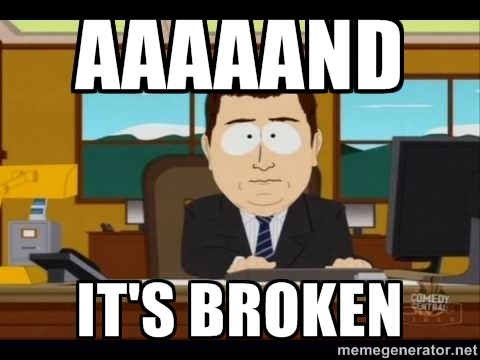 “it still fails” Ok please move it back “– Why I am asking is because I don’t want to receive additional/red herring errors due to the change we made and what I’m hoping to achieve is to keep the environment unchanged as much as possible so we don’t cause additional errors/lose methods to troubleshoot. Write down what you did and the outcome and also WRITE DOWN THEIR RESPONSES as these may have clues!! “there are no errors in vSphere” might mean the error is not reaching vSphere for it to log the error so go “upstream” to find the source. The error doesn’t sound like it is in vSphere so can we please look at the HBA on the host and ensure it is connected correctly and receiving data via ESXTOP. You state that the network connections are correct but please can we get it checked again? – Why I am asking is because I want to confirm that what we state is correct is in fact correct right now and what I’m hoping to achieve is to clear up any assumptions and have clear and confirmed facts about necessary “upstream” components. 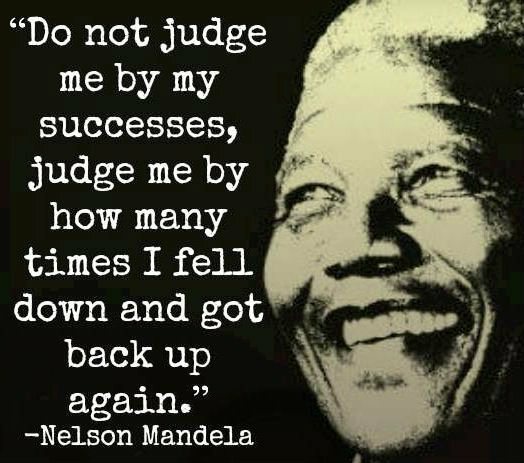 Are the steps you are following worked in the past? Are we following the exact steps that worked before? – Why I am asking is because I want to confirm if it has ever worked/if we are following different processes and what I’m hoping to achieve is to confirm if it has ever worked and if a new step if causing the error to happen so we can troubleshoot what the different steps is bringing up. Not really applicable to VCDX troubleshooting but asking for someone who is an SME in the customer might shed some new light/clear up what the exact problem is. Not really applicable to VCDX troubleshooting. If you want to read about my utter joy about passing the VCDX then have a look at my VCDX #205 posting and also my VCDX Spotlight. Next I’m hoping to dive deeper into each of the points from my VCDX #205 posting starting with VCDX Resources – Did you use them all?? Categories: Certifications, VCDX, Virtualisation, VMware | Tags: Troubleshooting, VCDX, VCDX5, Virtualisation, virtualization, VMware | Permalink. Let me first wish everyone reading this a very successful 2015, I have a substantial amount of things I’m planning to do/accomplish this year and one of these is to get my VCDX and so this series is certainly going to help with this. As the name alludes to, the EMEA vBrownbag of which I am one of the three hosts is going to be starting a VCDX series all around the VCDX to try help people along every section of the journey to obtaining the certification. I know all the things I am looking to get out of the series but despite me wanting to make it focus just on the things I want to do/know I wanted to get out a posting asking people what they would like us to cover. As I’m sure you are aware there are NDA’s attached to the certification but I am certain we can keep to these and have cleared this idea with the powers that be within VMware who are happy for us to do and will be participating at points also. Below are the rough plans for the series which we can run as long as there is content and people are interested. If you can please write in the comments section what you would like to see then we can start getting the ball rolling. A panel of a number of current VCDX and the VMware VCDX program manager where those burning questions you have about the VCDX can be asked. People need to come with questions for this. We will do one or even two VCDX Design Scenario Mock Panels where a pre-agreed volunteer will do a VCDX Design Scenario Mock with a set panel just like the real defence and then will analyse what the panelists feel they did right and wrong. February 17th (Confirmed) – What is required in a VCDX submission? For this the name describes it all. We will go through what is required in a VCDX submission by following the VCDX blueprint and showing the depth and breadth of documentation that you should be submitting to be invited to defend your VCDX design. The authors of The Art of IT Infrastructure Design book will be covering their new book and what it entails and how it is a valuable resource for those looking to obtain the VCDX. A VCDX Bootcamp session will be run by John Arrasjid, Mostafa Khalil, Chris McCain, and Mark Gabryjelski. As I said this is to help those thinking about doing the VCDX or even those who are already on the path towards it to get the information and knowledge they are looking for so let us know your thoughts on the tentative schedule and what other things you would like to see. Also don’t forget you can sign up for the EMEA #vBrownbag via this link. Lastly a shameless plug of if anyone is interested in knowing all the resources I’m personally going through for my second VCDX attempt you can see them here. Categories: Certifications, vBrownbag, VCDX, Virtualisation, VMware | Tags: design, VCDX, VCDX5, VCDXWannabe, Virtualisation, virtualization, VMware | Permalink. Yesterday after ~450 hours of blood,sweat and daily mock panels I defended my VCDX design at the Frimley United Kingdom defences. The experience was much more pleasurable than I thought it would be and my panel were all really nice guys and I could tell they were asking me questions to try help me show my knowledge and strengthen portions where possibly my design was weak. Unfortunately when I woke this morning and checked my emails and after asking my wife to open the attachment due to being too nervous myself to do it ,it stated I was unsuccessful in my attempt. I was certainly hoping I would crack it first time and be able to prance around like a pony at the next London VMUG with my VCDX shirts,caps,blazers and new tattoo (I’m joking on the tattoo but the rest I can’t deny I may have done ) But all jokes aside I really learnt a substantial amount and can say without a doubt that I’m a much better architect than when I started the journey and it showed me where my knowledge needs strengthening for my resubmission in the future. I don’t think i’m going to resubmit this year for a few reasons, one being that you have to pay the entire submission fee again and I just don’t have $1200 lying around to do this but more importantly I am just looking forward to spending time with my family as I’ve been spending all my evenings and weekends for the past 6 months working on my VCDX. I will however resubmit and give it another go as I didn’t think i was miles and miles off and with more prep and strengthening in certain areas I could get it the second time around and there are numerous super intelligent current VCDX’s who only passed the second time. Try put in a design that is as real world as possible. I know this isn’t easy, especially as most companies are now 100% virtualised but there are loads of projects around creating a new environment for a new exchange environment or a new department in your company and how you designed it which i’m certain can meet most of the VCDX blueprint requirements. Also if you are going to fictionalise portions don’t try and put in too much as real world customers need to operationally maintain this after you leave and if you have done some no doubt amazing custom configurations but they mean when an upgrade is due you have to change half the environment then you will be called up on this. Eat,sleep ,VCDX ,repeat. As you can tell by the hours I estimate I put into my submission ~450 and the hours Rene put into his two submissions ~1000, the VCDX is an all encompassing goal where you have to be willing to spend your evenings and weekends for months and months working on the design and there will be loads of points where you feel like giving up and you question why you decided to do this (mine normally came when it was warm weather outside and I was sat trying to decide on VMware security settings). BUT the amount I have learnt from it I fully believe and have already noticed tangibly has made me a better architect and forced me to gain new skills. Join a study group ASAP. For this submission I had it planned in my head from almost the middle of last year when i passed my VCAP-DCD that i was going to go for the VCDX. I coaxed a whole bunch of guys I know from the London VMUG to put in their interest to defend this year at Frimley which partially resulted in there being two defences in the UK this year Unfortunately due to time blurring by I ended up being the only one to submit for the April defence but I created the EMEA VCDX Study Group after getting the idea from the guys who defended at PEX and was able to gain loads of feedback around my design from people with various backgrounds and thereby strengths in different areas and had a few trial by fire mock defences. I also had a core study group of Rene and Bobby Stampfle who were both also defending at Frimley and so we worked together and did webexs almost daily for three weeks and really learnt a substantial amount from each other and even did a face to face practice this past weekend to calm our nerves and try make the defence not as scary. Gain help from the best. I’m fortunate enough to know quite a few current VCDX’s and as is the case with the VMware community everyone is really happy to help out where they can. I got a few current VCDX’s to review my design and not hold back on the feedback as what these guys will find you can bet the panellists will find also.I know there is a plan by John Arrasjid around the academy X program and how this will help people nearing the end stages of their VCDX designs to gain some 1 on 1 help from current VCDX’s and I was getting ahead of myself and planning to ask to be part of this when I passed my VCDX as I knew the sheer benefits this has. I will certainly be working with as many top people as possible as well as my EMEA VCDX Study group. Go to a VCDX bootcamp and watch the online videos and the vBrownbag VCDX videos. These are really helpful and I attended the bootcamps at VMworld Europe last year and the one last week here in the UK. the one at VMworld was certainly a lot better possibly due to the amount of VCDX’s in the room and so the role playing for the two scenarios was much more beneficial than the one I had last week. I’ve refrained from ranting about why as I don’t think it was as helpful but I would encourage the time keeping of the VCAP bootcamp prior to be much better so that it doesn’t severely impact the VCDX bootcamp. Keep your knowledge up to date and start your design right now. For the VCDX i submitted a design I worked on over two years ago and so with a lot of my current work being around vCloud and vCAC I was rusty on some areas and needed to refresh them. Rene listed loads of top books and I did a selective few of these due to time constraints to refresh my memory on advanced HA and DRS portions and storage. I think if I had slowly kept my skills up around reading tech books like I used to the sheer amount of things I had to refresh on wouldn’t have been as much and possibly made a lot easier. Also I got asked by quite a few people about if their older designs were good enough. 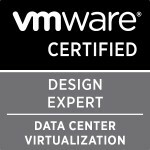 I’m certainly not the expert around what is and isn’t VCDX level but what I would highly recommend is getting started on your design even if you still have VCAP’s to finish as it is a very long process and the more you spread it out over time and the amount of times you go through the better design you will have in my opinion. I’m disappointed without a shadow of a doubt that I didn’t pass it this time but I’m certainly glad I did it and I would recommend the journey to anyone looking to try force themselves to the next level. As I’ve stated I’m going to take a breather to recharge and spend time with the family but I will give it another go and fully believe that with more planning I can do it next time. Good luck to all of those defending this year and hopefully you have a better result than me. Categories: Certifications, VCAP, VCDX, Virtualisation, VMware | Tags: Architecture, Certifications, VCAP, VCDX, VCDX5, VMware | Permalink.